Laurie Engelbreit has been in Real Estate since 2012, when she bought her first home and fell in love with the industry. The experience she had as a first-time home-buyer was so wonderful, and she really wanted to provide that amazing experience for other people. 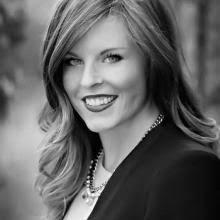 She has since had great opportunities representing various Builders in the area, as well as helping clients find and sell existing homes. With a flair for design and an eye for potential, she has been able to utilize her creative side to help her clients make their home truly fit their style, needs, and their time of life. Laurie has been able to take advantage of great opportunities to express herself through music, floral design, furniture-building, and interior design. When she isn't out in the field, you can find her spending time with her Great Dane-English Mastiff Mix named Dozer, visiting her sister and adventuring in the mountains of Washington, or enjoying time with friends over drinks or coffee at one of the incredible local gems downtown. Please feel free to reach out at any time, Laurie is more than happy to chat and would love the opportunity to provide an amazing experience, just like the one that made her fall in love with Real Estate in the first place!